Even though the Jabour family has operated liquor stores since 1933, when it comes to setting priorities, co-owners David and Margaret consider themselves to be last in line. 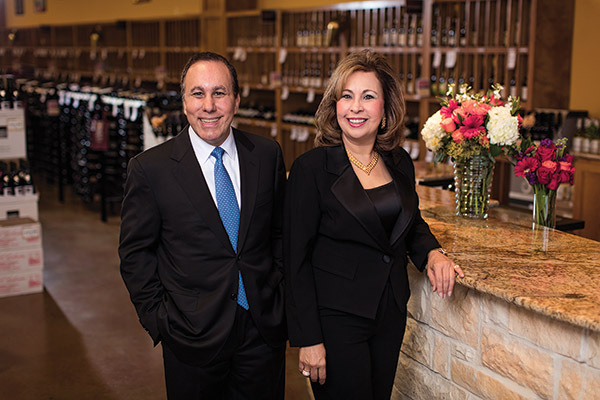 David and Margaret Jabour, sibling owners of Twin Liquors. It is that overwhelming dedication to their business partners, along with an intense passion for the industry, that helped propel Twin Liquors to its position as a Texas-based powerhouse retail chain, with 80 locations across the state. The Jabour family’s history in the Texas liquor business began shortly after the repeal of Prohibition. The first location, known as Jabour’s Package Store, opened in Austin in 1933 and housed a liquor store, drugstore and soda fountain. By the mid-1940s, the first generation of Jabour family store owners had expanded the business to include three liquor stores and a tavern. After spending nearly 40 years in the industry, the founding Jabours decided to step down in 1981, leaving a new generation of the family to take over the business. The first store with the Twin Liquors name opened shortly thereafter. In the 1990s, the Jabours realized that they had an opportunity to take advantage of the tremendous growth the city of Austin was experiencing and expand Twin Liquors even more. Over the years, Twin Liquors opened additional locations and also acquired numerous existing businesses, including Dan’s Wine & Spirits in 2000 and Reuben’s Wine & Spirits in 2001. Eventually other businesses such as KP Liquors and Spirit contacted Twin Liquors to inquire about the possibility of acquisition. Expansion continued, and in February 2017, the current third-generation Jabour owners celebrated the opening of their 80th location in Woodlands, Texas. While expansion has long been part of the Twin Liquors’ business strategy, David is quick to stress that it isn’t the core goal of the company. That’s service. “We don’t expand just for expansion’s sake. We do it because we recognize additional opportunities to bring our service and expertise to communities across the state,” he says. The Jabours take great pride in their work and are truly passionate about the industry. Motivated by a drive to understand the needs of their customers, the owners of Twin Liquors are committed to stocking their stores with high-quality products offered to consumers at a good value. The chain is also known for its selection of rare items that are difficult to find at other places, which sets Twin Liquors apart from the competition. The other distinguishing characteristic of Twin Liquors is that it goes to great lengths to cater to the customer experience. Margaret stresses that the company designs Twin Liquors locations with a department-store feel. “It was a very unique layout back in the day, because for a long time this business was a very male-dominated industry and we wanted to change that dynamic, which we did,” she says. 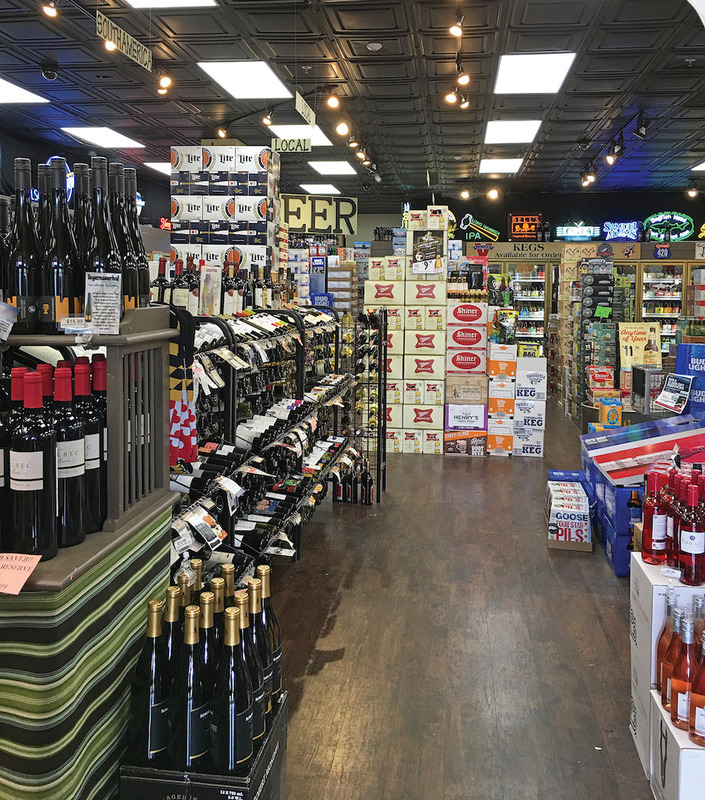 More than just enhancing the general store ambiance, Twin Liquors is committed to providing the best possible service to customers. One way the Jabours ensure that each of their 440 employees excel on the customer service front is by making it a point to only hire people who are passionate and knowledgeable about the industry. As a result, almost every member of Twin Liquors’ executive management team is home-grown. Most of those employees began working for the company as sales associates and moved up the ranks, which the Jabours think makes them more invested in the company. There are 80 Twin Liquors locations across Texas. Along with helpful staff and an outstanding product selection, another factor that sets Twin Liquors apart from competitors is its commitment to education. It all begins with empowering employees to be knowledgeable about the industry. Beginning this summer, the company will offer Wine and Spirit Education Trust (WSET) certification courses to all employees, the idea being that staff members will then pass along their knowledge to customers on the sales floor. Additional educational opportunities are entirely customer-focused. While in-store tastings abound at all locations, several sites known as Twin Liquors Marketplace concept stores provide a venue for extensive education opportunities, along with carrying a vast selection of premium wine and spirits. Daily tastings and regular classes are held at the Marketplace stores, which are equipped with large classroom spaces. In addition to general wine and spirit education classes, the Marketplace stores offer seminars on topical or seasonal themes. Recent classes include sessions on Bordeaux and Italian wine. Education also factors into the products themselves. For the past decade, Twin Liquors has offered featured combo packs for sale, which package together spirits, mixers and a drink recipe. Initially the combo packs were available only for margaritas, but after the craft cocktail explosion erupted several years ago, more innovative drink recipes have been added. The combo pack selections are very popular with consumers, especially around the holidays when 12 to 18 different ones may be offered any given time. The Jabours hope that eventually a fourth generation of their family will take over the business and bring it to a level they’ve never dreamed of. 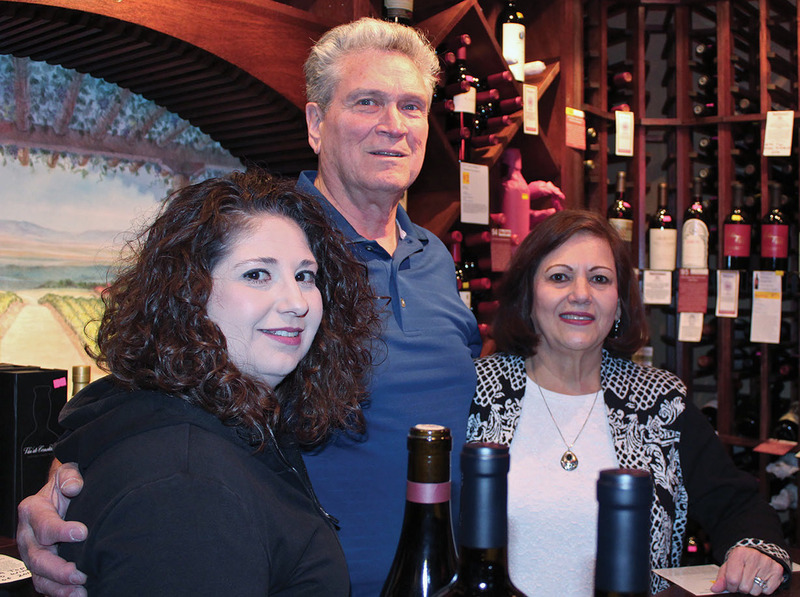 Since its opening in 1985, The Wine Store in Westerly, Rhode Island has been owned by the husband and wife team of Frank and Donna Celico (pictured atop). Frank was born and raised in the area, and Donna has lived there for over 50 years, so the couple and their business have had no struggles becoming an integral part of the community. Based in coastal Rhode Island, The Wine Store is a strong beneficiary of tourism. “During the summer, the business for all of us here quadruples,” Donna says. Westerly is close to the ocean, so the area attracts droves of tourists every summer. During the tourism-heavy periods, Donna says that customers will often grab a bottle of wine or fill up their cooler and head for the beach, which is only a 10-minute drive from the store. The Wine Store has gone through some significant changes throughout the years, most recently the establishment of a new website. Frank says it took about 6-8 months to get the website fully up and running, but now The Wine Store displays its full product selection on the site for sale. If a customer lives in a state or country where purchasing liquor online is legal, they can buy any of the store’s products and have them ship directly. A new in-house POS system has revolutionized the store as well. It allows customers at The Wine Store to scan wine bottles at purchase, and also tells customers about the wine and where it’s located in the store. In February, The Wine Store brought on a social media contractor, who’s increased the brand’s exposure through its website and Facebook pages. Along with the increased presence online, community engagement is one of the key aspects that the Celicos stress as a strong point for their business. That list of local organizations includes Stand up for Animals, the Westerly Library and the Westerly Rotary. For all their fundraisers, The Wine Store tells partners they can pay for liquor when their event is done, allowing them to bring back whatever they don’t use free of charge. Frank and Donna also coordinate wine dinners with many local restaurants, using their expertise to pair wine offerings with food selections. Donna says that her husband wants to maintain the “community feel” as long as possible, and doesn’t worry about the surrounding competition in Westerly. Chances are that if you live within a 25-mile radius of Bay Ridge Wine & Spirits, you’ve probably been there–or at least you’ve heard about it. Not only has the Annapolis, Maryland-based retail store been known as the area’s one-stop shop since it opened in 1991, but it’s also a biannual destination for thousands of people during its Customer Appreciation Sale, which is held every February and September. Judging by the way Bay Ridge continues to be a powerhouse retailer despite growing industry competition, the store is definitely onto something big. For 26 years, Bay Ridge has been operated by Chuck Ferrar and Marberger, his son-in-law. Originally, Bay Ridge occupied a 4,000-square-foot unit in a strip mall shopping center, but due to its rapid growth, the owners opted to move to a larger 10,000-square-foot unit right next door six years later. Bay Ridge continued to grow at an unprecedented pace, with the owners eventually taking back the original 4,000 square-foot space in 2007, resulting in the current 14,000 square-foot store. “We grew so fast, and it got to the point where we outgrew our previous spaces because we needed more storage space,” Marberger says. A change in Maryland law allowing retailers to purchase in bulk to get better pricing also contributed to the final move. Now, Bay Ridge has additional storage space to hold its vast amount of products. The store is known for its wide selection of beer, wine and liquor. In addition to carrying all of what Marberger refers to as the “core brands,” Bay Ridge is known for selling unique products that are often hard to find, making it a destination for consumers seeking something different. The store also offers a selection of gourmet cheeses and other packaged foods, along with wine accessories, growlers, cigars and gift bags. Bay Ridge continues to experience growth every year, and Marberger credits that to the store’s Customer Appreciation Sale. 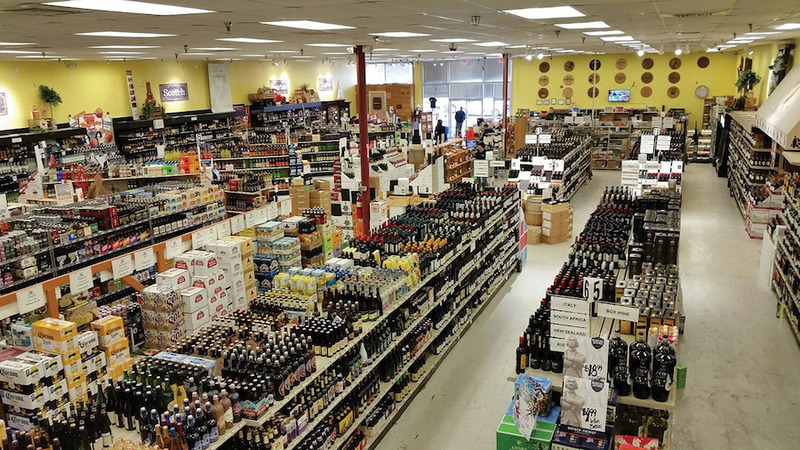 Twice per year, every single alcoholic product in the store (with the exception of kegs and growlers) is offered to customers at a cost of $1 above wholesale. The three-day sales run from Tuesday through Thursday and draw customers from as far away as Baltimore and Washington, D.C. During the most recent sale in February 2017, Marberger recalls that people started lining up outside the store two hours before opening on Tuesday morning. By 9 a.m., more than 200 people were waiting outside in line. At the end of the first day of the sale, more than 1,500 people had taken advantage of the exceptional values. There’s no limit to how much product an individual can purchase during the sale, and Marberger reports that many customers return several times during the three-day period. Store shelves are completely restocked each night during the event to ensure that customers still have a full selection of products to choose from the following day. Bay Ridge also goes the extra mile to offer the most unique assortment of products possible. For the past several years, the retailer has taken part in the annual Sonoma County Barrel Auction, which permits industry members to bid on unique lots of one-of-a-kind wine. Bay Ridge has purchased several lots, giving the business an opportunity to offer something to customers that literally cannot be found anywhere else. For example, the company once obtained 20 cases of a Rodney Strong cabernet that wasn’t available elsewhere. 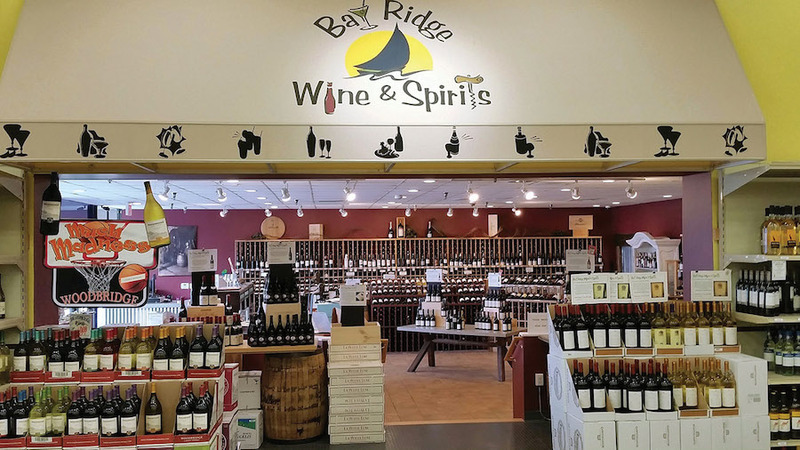 In addition to selling the wine, Bay Ridge invited the winemakers to attend an in-store tasting and facilitate a Q&A with customers, creating a more personal and educational experience for everyone involved. Although Bay Ridge draws in a significant amount of people for big sales and limited edition products, the store’s success cannot be attributed to those events alone. Marberger says the personality of the store and the entire staff’s commitment to providing the best possible customer service is what keeps people coming back to shop again and again. Twice per year, every single alcoholic product in the store (with the exception of kegs and growlers) is offered to customers at a cost of $1 above wholesale. Bay Ridge has succeeded by focusing on the customer experience. However, another unique aspect of this business is how much the owners invest in their employees and in the surrounding neighborhood. The store currently employs 31 people, 17 of which are full-time. In addition to offering traditional benefits like health insurance and paid vacation, Bay Ridge offers financial assistance to staff taking classes or obtaining industry certifications. Employees are also encouraged to travel in search of new products. Community engagement is something else that sets Bay Ridge apart from other retailers. The owners feel obligated to give back to Annapolis, and the company donates thousands of dollars annually to various initiatives around the local area in an effort to support the community for supporting Bay Ridge over the years. With so much success ingrained in its rich history, what does the future hold for Bay Ridge? Marberger hopes the store will continue serving the people of Annapolis, and that his college-bound son will someday take over the business. “I think we’ve done a pretty good job so far, and we have no intention of screwing up,” Marberger laughs. Considering all that Bay Ridge has to offer, continued success is pretty much a given. Founded in 1959, Mayfair Liquors in Denver, Colorado is currently in its third location. Each time the business has moved, it’s expanded its size, selection and staff, according to General Manager Matthew Amerson. “We aren’t the largest store in town, but we have a loyal and dedicated customer base,” he says. The 4,000 square-foot store is owned by Thom Noller, who has been the Colorado Licensed Beverage Association Retailer of the Year in 2013 and 2014. Mayfair isn’t known just for its loyal customers, but also for its well-trained employees. In the last year, Mayfair expanded its wine department with a focus on value offerings, including a ‘buy one get one half off’ program. The store also recently added a ‘build your own six-pack’ cooler and a singles cooler. The company also upgraded its infrastructure, with a new server and security cameras. And it developed an app tied to in-store promotions. Mayfair has more than 1,200 downloads of its mobile app to date, which supplements its social media advertising. The store doesn’t advertise on television, radio or on billboards, preferring to drive traffic with digital engagement. The past year has seen significant changes for Colorado beverage retailers, but one thing that won’t change is Mayfair’s commitment to its community. Mayfair hosts charity tastings for organizations and schools, with some relationships going back a decade or more. The company also donates product to local charities and financially supports organizations that assist the homeless. When a business has roots in a community dating back almost 75 years, it must be doing something right. Such is the case with Jubilation Wine & Spirits, a family-owned retailer located in Albuquerque, New Mexico. With a focus on unique products and outstanding customer service, Jubilation has continued evolving over the years and is set up to maintain its position as a destination retailer for many years to come. Jubilation is currently run by Carol and John Zonski and their daughter, Tasha Zonski-Armijo. While the store has been at its current location for nearly 30 years, it originated as a bar in another part of town back in 1944. Carol’s father, the late Henry Rivera, started the bar with a friend after returning from service in World War II. The Zonski’s family has run Jubilation in various forms since 1944. When his business partner passed away in 1958, Henry decided it was time to walk away from the bar business in order to spend more time with his wife and children. He opted to sell the bar and opened the Old Town Liquor Shoppe, which sold packaged liquor goods. Years later, John Zonski decided to help his father-in-law run the business, and Carol followed suit several years after that. In 1987, the store moved to a new location and changed its name to Jubilation. Tasha eventually joined her family at the helm, and the three currently manage the store together. Customer service has been at the forefront of this business from the beginning. John credits his father-in-law with instilling a strong sense of responsibility and service in the family. “Carol’s dad taught us to sell yourself and your knowledge to people first, and once you established that trust, you could then transfer that to selling different products,” he says. Trust is something this business has firmly established in the community over the years. Jubilation customers have come to know the Zonski family over the course of several decades, and many of them have supported the business since the Old Town Liquor Shoppe days – in fact, a few were patrons of Henry’s original bar. The Zonskis consider their 16 staff members to be part of their extended family too, and customers have also come to know the employees very well. Carol says that she works hard to instill that sense of family in the staff, and to encourage them to treat every customer like a part of that extended family group. The Zonskis credit Jubilation’s dedication to service as the reason why so many customers have remained loyal over the years and helped the store stay in business for so long. Albuquerque still struggles in the aftermath of the recession, but Jubilation has avoided the fate of many competing liquor stores in the area, which were forced to shut down over the years. Selective product offerings are another factor in Jubilation’s success. 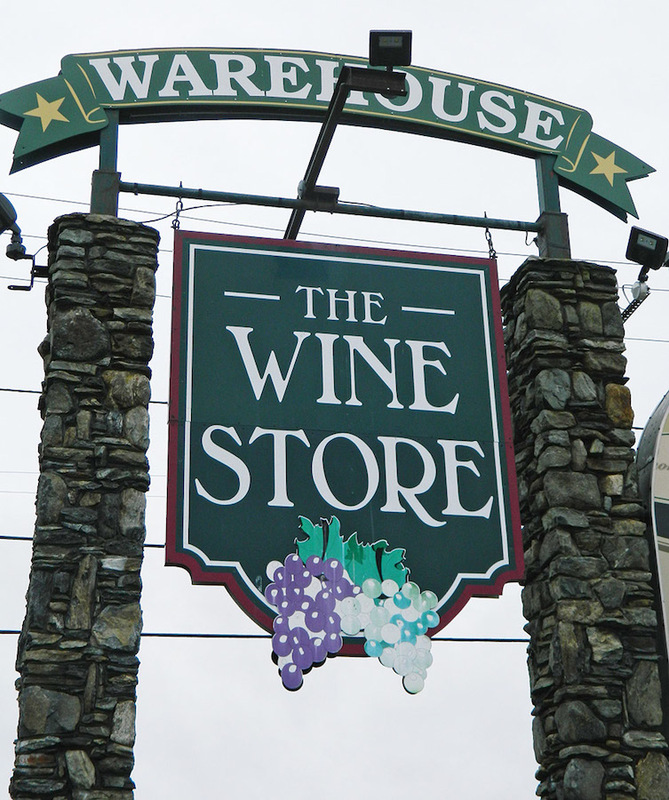 The store is known for its unique assortment of fine wines, particularly eclectic offerings from smaller wineries that aren’t mass-marketed to the public. Custom orders are very popular, and Jubilation also attracts a large following with its monthly wine club, which often includes exclusive selections for club members. Local products are also a large part of the store’s selection, especially in the craft beer category. In fact, if a beer is made in New Mexico, Jubilation makes every effort to keep it in stock. With so many new products that are available, Jubilation still has a wide variety of items to offer consumers. The store has a strong following on social media, and new products are always introduced to customers via Facebook. Generally a photo and a description of each new item is shared, which in turn helps elevate sales. “A lot of times, people will come into the store and say, ‘Hey, I saw that product on Facebook. I want it!’” Tasha says. The store also focuses on product education, not only for customers but for employees as well. By providing certification options and product training, employees are better informed about the items they sell and become more likely to pass their knowledge onto consumers. That develops a personal rapport and helps customers make informed decisions about which products are best for them. To further product education and enhance the overall customer experience, Jubilation offers a variety of in-store tastings. The store also regularly ventures off-site and teams up with local restaurants to offer themed pairing dinners, which allow people to enjoy properly paired food and beverages. A recent whisky dinner was hosted at Vintage 423, a local steakhouse. For $80 per person, guests enjoyed a five-course meal with Dalmore whisky pairings. Other events have included a Michael David Winery pairing dinner and a Belgian beer and chocolate tasting. If history is any indicator, Jubilation will continue its success and retain an integral position in the Albuquerque community for many years to come. Manhattan, Kansas may be known more for its college sports than its off-premise retailers, but The Fridge Wholesale Liquor is making a name for itself around town. The company, founded in 2000 and owned by Kevin Neitzel, has won Top Liquor Store in town every year since 2012. 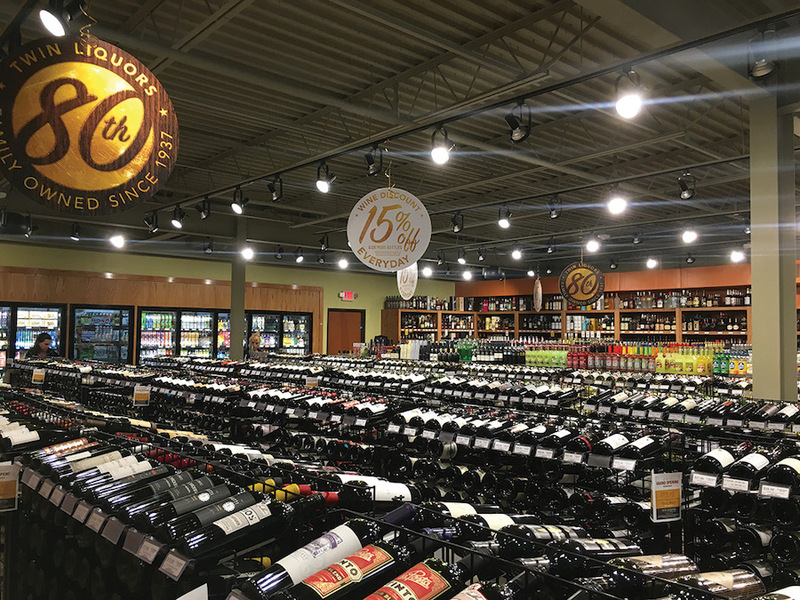 The 12,000 square-foot store recently added seven new wine shelves, a new section for the liquor department, lock boxes for high-end spirits and a 2,000 square-foot addition in the back to increase delivery space. Spreckels says they also renovated the stock room to add an office for on-premise specialists, drivers and administrators, and built a tasting bar in the middle of the store. Much of the company’s business comes from on-premise orders within the local area, which requires a staff trained to serve both off-premise customers in the store and on-premise accounts receiving deliveries. The Fridge is active on social media, communicating with customers through Facebook, Twitter, Instagram and Snapchat. The store also offers a wine blog and a podcast to talk about new products and trends. The combination of a well-designed store, knowledgeable staff and growing customer base have given The Fridge Wholesale Liquor the tools needed to stand out in the market. Ben Golueke is going on 20 years at the helm of Mount Airy Liquors in the small town of Mt. Airy, Maryland—population 9,300—about 45 minutes from Washington, D.C.
Golueke moved to the area in 1999, after working in the family liquor store in nearby King County, “carrying stuff out for people and bagging ice since I was 14,” he says. The single location, 5,400 square-foot store was founded in 1975. It moved from a smaller location in the same shopping center back in 2011 that was 3,200 square feet—hard for Golueke to believe now, since he says they’re already “stacking displays really high” in the larger location. Though bursting at the seams, Golueke says no second move is in the foreseeable future. Instead he will focus on his highly successful growler station and continue to enjoy the bustling craft-beer scene in his area. Everything on Mount Airy Liquors’ growler station is limited, Golueke says, meaning you won’t see it in cans or bottles. On Maryland Day — annually on March 25 to honor the 1634 landing of Lord Baltimore and first colonists on Maryland’s St. Clement’s Island — the store set up the growler station with 100% local beers. He’s also on the board of the Maryland State Licensed Beverage Association. Golueke says keeping customers happy is always his top priority, something he measures based on sales and customer surveys. When the store upgraded its computer and POS system in 2007, he started a rewards program. “Sales always indicate that people are coming back,” he says. “We keep an eye on our customer count every month.” Mt. Airy Liquor also has in-store and online customer surveys, and Golueke says while email marketing blasts, Facebook, Instagram and Twitter are great for spreading the word about promotions, word-of-mouth advertising continues to be a cornerstone of growth.